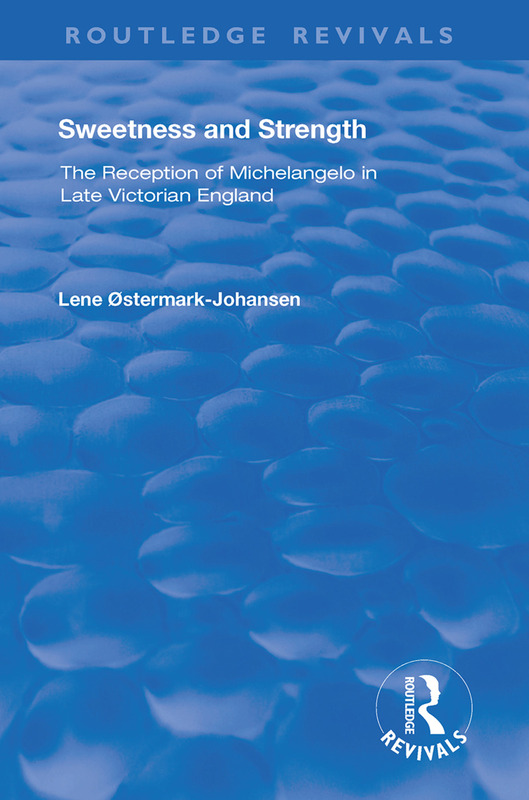 First published in 1998, this volume explores the reinvention of Michelangelo in the Victorian era. At the opening of the nineteenth century, Michelangelo’s reputation rested on the evidence of contemporary adulation recorded by Vasari and Condivi. Travel, photography, the shift of his drawings into public collections, and, in particular, the publication of his poems in their original form, transformed this situation. The complexity of his work commanded new attention and several biographies were published. As public curiosity and knowledge of the artist increased, so various groups began to ally themselves to aspects of Michelangelo’s persona. His Renaissance reputation as a towering genius, a man of great spiritual courage, who had journeyed through and for his art to the depths of despair, was important to the Pre-Raphaelites and other artists. His love for his own ‘Dark Lady’, Vittoria Colonna, aroused excited speculation among High Church advocates, who celebrated his friendship with the deeply religious woman-poet; and the emerging awareness that some half of his love poetry was dedicated to a younger man, Tommaso de’ Cavalieri, was of intense interest to the aestheticists, among them Oscar Wilde, Walter Pater and J.A. Symonds, who sought heroic figures from societies where masculinity was less rigorously defined. In this original and beautifully illustrated study, Lene Østermark-Johansen shows how the critical discussion of the artist’s genius and work became irretrievably bound up in contemporary debates about art, religion and gender and how the Romantic view of art and criticism as self-expression turned the focus from the work of art to the artist himself such that the two could never again be viewed in isolation.